Dr. Divgi is a Professor of Radiology, Professor of Radiation Oncology, Professor in the Wistar Institute, a Member of the Abramson Cancer Center, University of Pennsylvania; and the Chief of Nuclear Medicine and Clinical Molecular Imaging, Hospital of the University of Pennsylvania, Philadelphia, PA.
Molecular imaging (MI) creates images of cellular processes either by using molecular probes that target molecules critical in the pathophysiology of the disease process, or by using probes that reflect perturbation that is characteristic of a disease. The potential of MI to identify features of the cancer phenotype make it a particularly effective tool in the development of agents for cancer therapy. Currently, cancer drug discovery goes through an inexorable process through which toxicity is defined in early trials with conventional methods of efficacy evaluation including assessments of structural change (particularly CT) that utilize inadequate measures of response. 1 Incorporation of MI will permit the earlier detection of treatment failures by identifying key pharmacodynamic endpoints. 2 The growing potential for development of biologic agents with little or no systemic toxicity has also increased the need for identification of optimum biologic doses more is no longer necessarily better and MI will likely enable pharmacokinetic studies that will better characterize the biologic behavior of molecular therapies. There is a growing consensus that MI will become an established means to characterize disease and to validate therapeutic efficacy, particularly of molecular therapy. 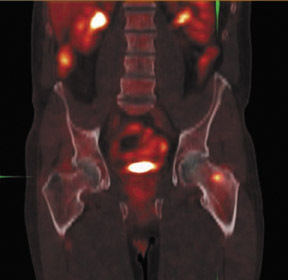 Of particular clinical relevance are magnetic resonance imaging (MRI)/spectroscopy and nuclear medicine positronemission tomography (PET) and single-photon emission computed tomography (SPECT) imaging, whose utility and promise are evident in clinical trials that have explored agents and technologies. However, as yet, there are no completed, carefully controlled clinical trials that evaluate the utility of MI in determining outcome. FDG uptake has been associated with tumor viability and aggressiveness, and FDG PET/CT is used in radiation therapy planning for delineation of tumor volumes to determine biologic tumor volume. 16 While this has been of considerable value in the delineation of viabletumor, its utility in treatment follow-up has been less than clear. 17,18 Moreover, there is no consensus on methodology for the definition ofviable tumor volumes to be selected for therapy. 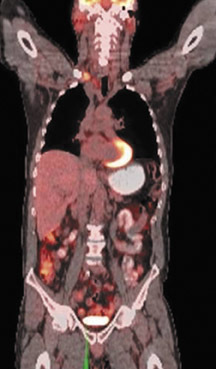 Finally, the utility of FDG PET/CT to define tumor volumes during therapy is also not understood, with several groups reporting that volumes can be variable and may not always represent viable tumor. 18 Increased glucose uptake is a component of the Warburg effect (which states that glucose avidity is greater in tumors than in normal tissue) and is also a feature of increased glucose metabolism by other cells (eg, peritumoral inflammatory cells). While this overview has focused on clinical imaging, it is self-evident that preclinical imaging plays a critical role in the assessment of agents that are brought to the clinic for evaluation. 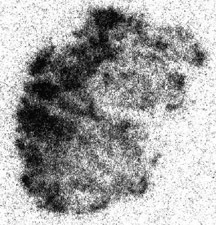 21 Indeed, preclinical imaging has included cellular agents 22 as well, and MI is increasingly playing a decisive role in the translation of molecular therapies from the bench to the bedside. It is becoming clear that molecular imaging will bring a new perspective to our understanding of cancer biology and its relevance in the planning of radiation treatments for cancer. FDG PET/CT is becoming an integral part of the initial work-up in patients scheduled to undergo radiation therapy, and other radiotracers particularly those that evaluate hypoxia and other important features of the tumor micro-environment are increasingly being studied. 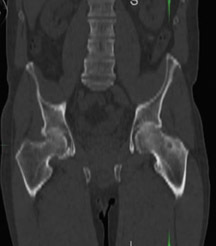 Most imaging modalities are now being evaluated at the beginning and end of therapy. MI for image-guided radiation therapy is entering the paradigm for optimal dose distribution and delivery. Methods for adaptive radiation therapy are being utilized as well. All these mandate a prospective approach with clearly defined endpoints that will eventually assure the proper utilization of these exciting means to establish cancer phenotype. Therasse P, Eisenhauer EA, Verweij J. RECIST revisited: A review of validation studies on tumour assessment. Eur J Cancer. 2006;42:1031-1039. Adjei AA. What is the right dose? The elusive optimal biologic dose in phase I clinical trials. J Clin Oncol. 2006;24:4054-4055. Comment on: J Clin Oncol. 2006;24:4092-4099. Luker GD, Luker KE. Optical imaging: Current applications and future directions. J Nucl Med. 2008; 49:1-4. Comment in: J Nucl Med. 2008; 49:1031. Freeberg JA, Benedet JL, West LA, et al. The clinical effectiveness of fluorescence and reflectance spectroscopy for the in vivo diagnosis of cervical neoplasia: An analysis byphase of trial design. Gynecol Oncol. 2007;107:S270-S280. Margolis DJ, Hoffman JM, Herfkens RJ, et al. 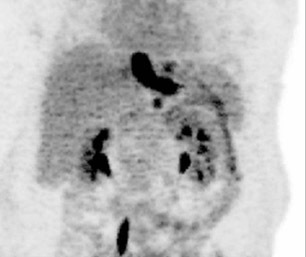 Molecular imaging techniques in body imaging. Radiology. 2007;245:333-356. 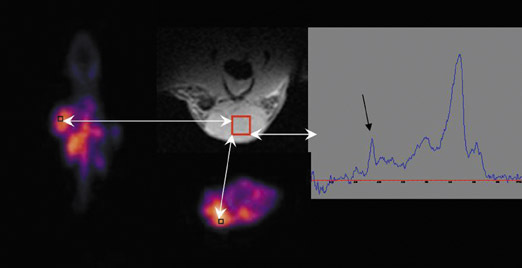 Hylton N. Dynamic contrast-enhanced magnetic resonance imaging as an imaging biomarker. J Clin Oncol. 2006;24:3293-3298. Rosen MA, Schnall MD. Dynamic contrast-enhanced magnetic resonance imaging for assessing tumor vascularity and vascular effects of targeted therapies in renal cell carcinoma. Clin Cancer Res. 2007;13:770s-776s. Kurhanewicz J, Vigneron D, Carroll P, Coakley F. Multiparametric magnetic resonance imaging in prostate cancer: Present and future. Curr Opin Urol. 2008;18:71-77. Wester HJ. 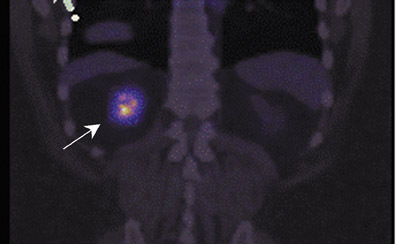 Nuclear imaging probes: From bench to bedside. Clin Cancer Res. 2007;13:3470-3481. 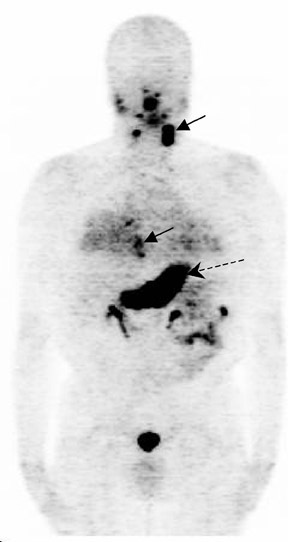 Buscombe JR. Radionuclides in the management of thyroid cancer. Cancer Imaging. 2007;7: 202-209. Weber WA, Czernin J, Phelps ME, Herschman HR. Technology insight: Novel imaging of molecular targets is an emerging area crucial to the development of targeted drugs. Nat Clin Pract Oncol. 2008;5:44-54. Brindle K. New approaches for imaging tumour responses to treatment. Nat Rev Cancer. 2008;8: 94-107. Linden HM, Stekhova SA, Link JM, et al. Quantitative fluoroestradiol positron emission tomography imaging predicts response to endocrine treatment in breast cancer. J Clin Oncol. 2006;24: 2793-2799. Dehdashti F, Picus J, Michalski JM, et al. 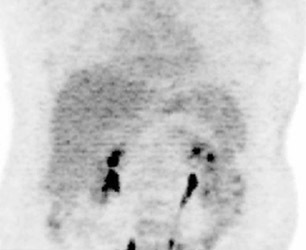 Positron tomographic assessment of androgen receptors in prostatic carcinoma. Eur J Nucl Med Mol Imaging. 2005;32:344-350. Divgi CR, Pandit-Taskar N, Jungbluth AA, et al. Preoperative characterisation of clear-cell renal carcinoma using iodine-124-labelled antibody chimeric G250 (124I-cG250) andPET in patients with renal masses: A phase I trial. Lancet Oncol. 2007;8:304-310. Comment in: Lancet Oncol. 2007; 8:279-281. Ling CC, Li XA. Over the next decade the success of radiation treatment planning will be judged by the immediate biological response of tumor cells rather than by surrogatemeasures such as dose maximization and uniformity. Med Phys. 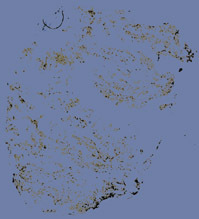 2005;32: 2189-2192.
van Baardwijk A, Baumert BG, Bosmans G, et al. 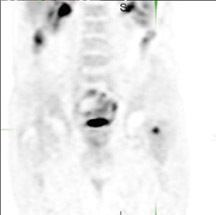 The current status of FDG-PET in tumour volume definition in radiotherapy treatment planning. Cancer Treat Rev. 2006;32:245-260. Bosmans G, van Baardwijk A, Dekker A, et al. Intra-patient variability of tumor volume and tumor motion during conventionally fractionated radiotherapy for locally advancednon-small-cell lung cancer: A prospective clinical study. Int J Radiat Oncol Biol Phys. 2006;66:748-753. Langsteger W, Heinisch M, Fogelman I. The role of fluorodeoxyglucose, 18F-dihydroxyphenylalanine, 18F-choline, and 18F-fluoride in bone imaging with emphasis on prostateand breast. Semin Nucl Med. 2006;36:73-92. Groves AM, Win T, Haim SB, Ell PJ. Non-[18F]FDG PET in clinical oncology. Lancet Oncol. 2007;8:822-830. Rudin M, Weissleder R. Molecular imaging in drug discovery and development. Nat Rev Drug Discov. 2003;2:123-131. Lang P,Yeow K, Nichols A, Scheer A. Cellular imaging in drug discovery. Nat Rev Drug Discov. 2006;5:343-356. 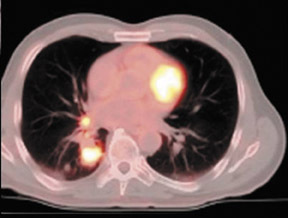 Integration of molecular imaging in cancer treatment. Appl Radiol.